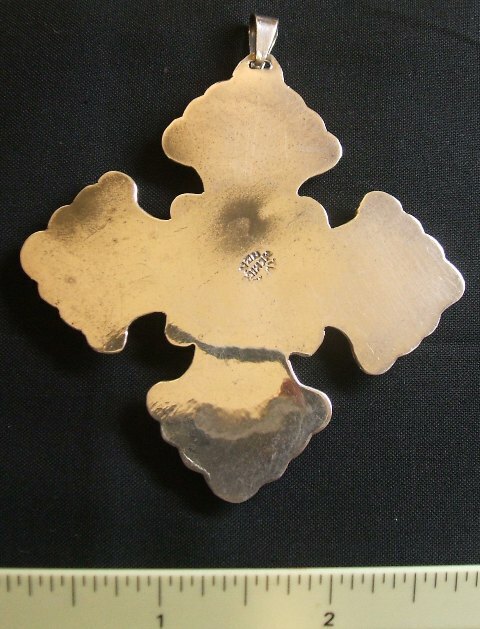 A large bold 3 1/8 inch (tips across) sterling silver hollow patonce cross pendant with bail is for sale. 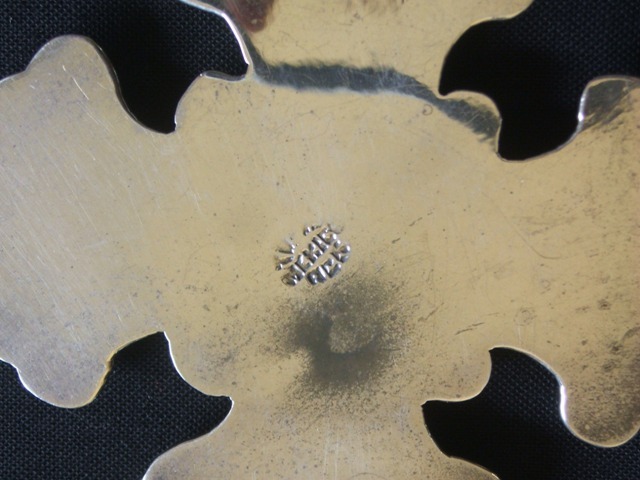 The work: is stamped “Taxco Mexico 925”; has nice oxidized patina in the recessed areas; has a couple of small dents on top left square border (visible); has oxidation areas on the back. The piece is not new and is sold “as is”. This piece complements the Reed and Barton Butterfly I used to research large stamped/embossed type jewelry. USPS Priority shipping insured with delivery confirmation in continental US is included in the price $75. 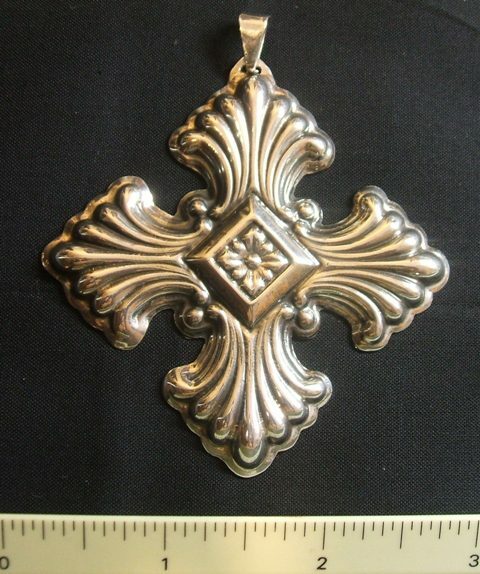 This entry was posted in Pendants and charms and tagged for sale, jewelry, sterling silver, Taxco silver. Bookmark the permalink.